Time is running out for our favorite summer outings. Luckily we were able to squeeze in a trip to the snowball stand this week. And thanks to modern technology we were able to find where to go when our regular snowball stand was closed. Did you know Siri even knows where snowball stands are? She brought us right to this one. We all got the same flavor - ice cream, which of course is a beautiful bright yellow! 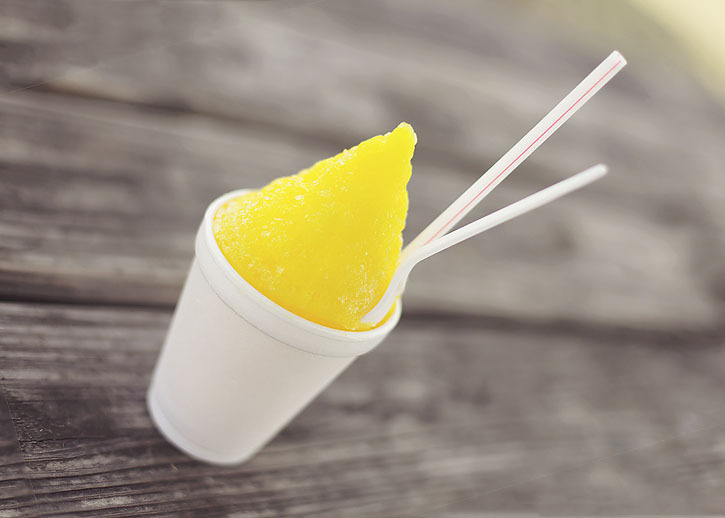 I just love that you guys picked YELLOW for the snowcone!! It is getting to be my favorite color now!!! Great Photos as always. Thanks for the linky party. Looks so good!!! I was so craving one when I saw it on IG. Know what I will be making this week. Have a great weekend Deb! Wow I love that color & that Siri is really one cool gal indeed huh! I keep telling Hubs I need to help me around here ha. I don't even know what a snowball stand is?! Yummy!! 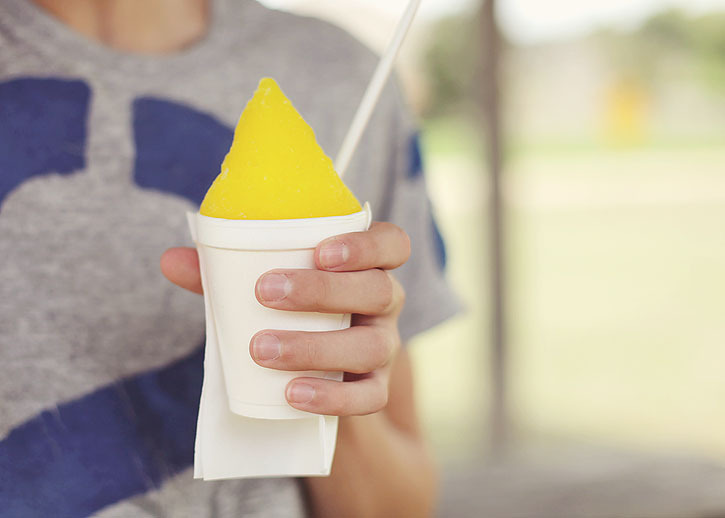 Now I want a sno cone. Snow cone does sound great today! Yum! just what you need on a hot day! Here the kids go for Italian Ices. Yum! 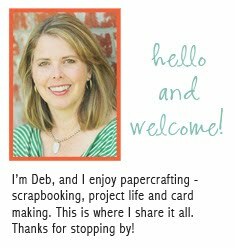 Deb hi!, I came across you site yesterday and thought wow how lucky to find a link party going on. Sure looks fun. Your blog is great. There are many things I like about it; style, color, tone, and mood. I'm Number #32 and I'm excited to be here. You have great ideas!!! Renae, (above) told me about your link party, so I linked up today (#40) with a post that I did a couple days ago of my son. What fun! I will have to come back later to look at some of the other links. I just realized I haven't had a snowcone this summer. There used be shacks every where in the summer, now there are frozen yogurt places every where. Siri is one smart lady - I've never heard of a snowball stand! Love the bright yellow, looks like fun! My husband loves sno cones. He makes himself one at least three times a day year round. In fact he has one type of old ice shaver he loves and is constantly on the hunt for them at thrift store, garage sales and flee markets. He will wear out at least two a year. 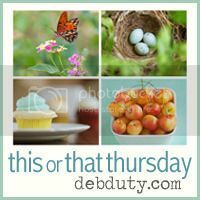 Love the yellow color but, what flavor is ice cream -- vanilla, chocolate or Butter Pecan? Looks delicious! Thank you for sharing and for hosting this link up!